Our laser treatments are careful, gentle, precise and pain-free. Eye correction of defective vision using the latest Laser-technology is my strength, with longstanding experience in this area. My laser eye treatment is one of the safest treatments in the current area of laser eye medical procedures. Nowadays the available new treatment methods (LASIK, LASEK, PTK, femtosecond laser) allow a precise correction of near-sightedness, astigmatism and farsightedness. In some cases the presbyopia (monovision) can also be corrected. Treatment is possible on an outpatient basis. It is completely painless and takes only a few seconds. The healing is so fast that the patient can see immediately, no dressing is needed and, as a rule, the patient is fully capable of working again after two days. However, not all eyes are suitable for treatment. But with the help of some important measuring methods, the suitability can be clarified in advance. The cost is 2,500 € per eye. Private health insurance funds and supplementary insurance cover a large part of a part. If you are interested, please make an appointment. In detail: Correction of vision defects with the LASIK procedure. Definition of the term: the Lasik-eye-laser treatment is used since 1989 and is today the most common procedure for eye laser treatments worldwide. In 1999 Lasik was officially graded as a scientifically recognized treatment by the German ophthalmologist association and the professional association of eye doctors. Function: during the Lasik procedure a thin eye cornea lobule (termed as flap) is prepared with an automatic miniature slicer. The flap is then subsequently flapped back and the underlying cornea layers are removed with the computer-assisted Excimer-Laser. The procedure lasts only about 3-5 minutes. With Lasik it is possible to correct shortsightedness up to – 10 diopters, corneal curvature until 6 diopters and long-sightedness until +4 diopters. I examine and probe before I operate. My laser-procedures offer safety and the highest precision. The anesthesia with eye drops during outpatient procedures und a very short op-duration of a few minutes ensure that already the following day you have the full eyesight without glasses and contact lenses. 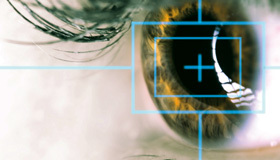 My procedure is among the latest and most modern in the field of treating vision defects. The duration is about 10 minutes per eye, including preparation time. The laser treatment itself only takes a few seconds. 2. How painful is the procedure? 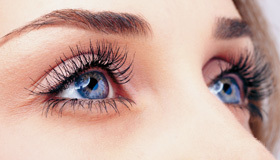 The treatment is performed outpatient using eyedrop anesthesia and is completely painless. 3. When can I see again? Immediately after treatment. However, the vision will be blurred to begin with. In general, your eye sight recovers fully after 24 hours. 4. Are there any counter indications?